Hello everyone! Well it sounds like everyone is having a good time enjoying the nice spring weahter. Things this week went pretty well and we had a good time. This week we were able to start teaching a part family the familia Barraza. The dad is a former bishop but right now is inactive. 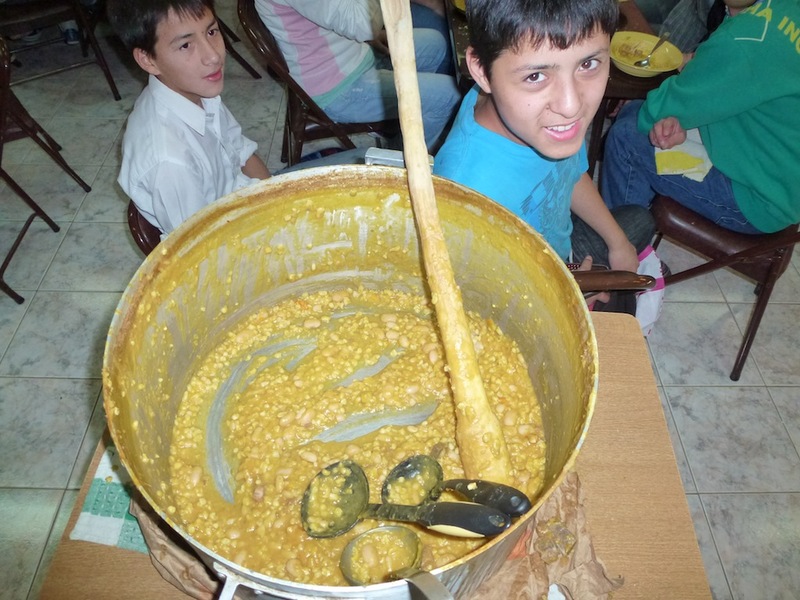 We started teaching them because they have a son Luciano that is 9 years old and not baptized. When we went the dad told us that Luciano has wanted to get baptized for some time now but it just hasn´t happened. But we when we went they were really happy to start going to church again and we committed them to start working to Luciano can get baptized on june 15. I´m sure that they are going to make it. 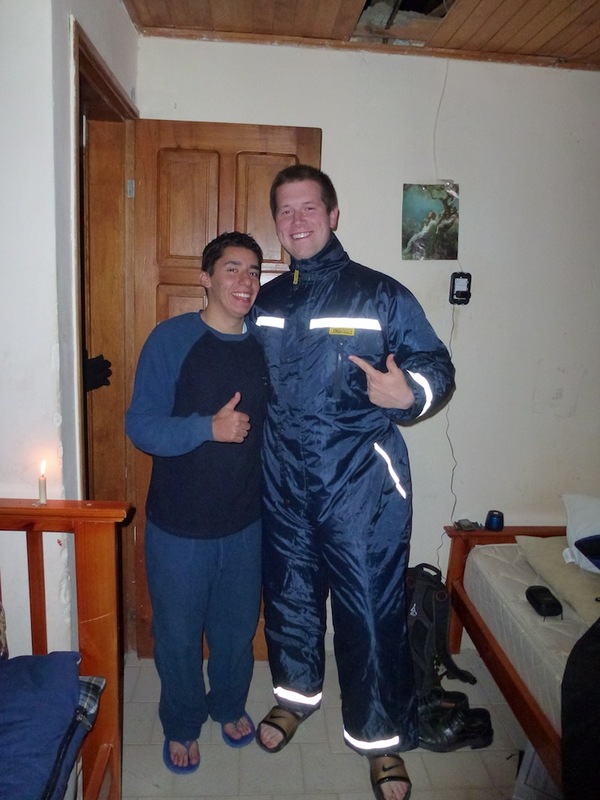 They came to chuch and we also had an english class on Saturday and Luciano and his brother both came. So we are super excited to teach this family and hopefully we can get them into full activity again. This week we had our zone conference. It was a really great conference. We talked about the importance of the first vision and how we can share it better and also the importance of the Book of Mormon and how we should use it. It was a really sweet conference and I think everyone was excited to go out and use the new things that they had learned. Right after we went out and worked and had a great lesson with Emilio. We shared with him the first vision and takled about the book of Mormon. IT was a lesson filled with the spirit. We comitted him to read the book of Mormon and he said he would love to. We were going to put a fecha with him but again the grandma interrupted and just went off and she just doesn´t give any room to change the subject. So hopefully tonight when we go by we can finally get him on date and help him progress toward baptism. Well I love you all and hope you have a wonderfull week! Here is a picture of Elder Yañez and his sleeping bad (bag?) suit! We were on divisions and I just had to get a picture with it on. Well it sure was nice seeing you all the other day. But i guess that means I don´t have too much more to say in the letter. So unfortunately yesterday I was not able to see Yanet get confirmed. The reason: on saturday night I was struck again with food poisening. Yeah I was not a great experience so yesterday I just spent the day in the bed and we didn´t go to church. But we called Nestor and Yanet and she did get comfirmed so today we will go by and congradulate them and start teaching the lessons of retension. We are really excited with the familia Rodriguez because the accepted a fecha for the 6 of june. The mom was a little hesitant but Micaela told us that she has been wanting to get baptized for about two years now so thats awesome. Hopefully we can help them reach that goal. I love you all and hope you have a wonderfull week! Hello my dear family and friends. Well this was sure a fun week and we had a lot of really cool things happen as well. Things are looking really awesome for the whole zapala zone. so I´ll start off with Yanet. So las week she was struggling a little bit and wasn´t too excited about her baptism. Nestor was really diligent though and wanted to really help her out. So on Friday we planned to teach them in the house of the bishop here in Avellaneda. We had a really awesome lesson with him and his wife and we went buy Nestor a Yanet on saturday and she said that she was really excited to go to church the next day. So on sunday they both came and had a good time. So we should be have her baptism this coming saturday which will be awesome. It made me realize even more the importance of the members in the work. Everybody is excpecting this missionaries to follow Jesus Christ but when a normal person tells you to do it it sure means a lot more. So this week we were able to find another family. But this one is of three generations. Their names are Marta who is the grandma, Graciela her daughter and Gracielas son Emilio. They are all really awesome. They have had some contact with the missionaries in the past but we can´t find anything about them in the area book. But the first time we went over they opened up to us and told us about all the bad things that are going on in their lives right now. They really have a lot of dificulties. Yesterday we went by again and talked about how our faimliy can be together forever with the gospel of Jesus Chirst. It was an awesome lesson and right as we were inviting them to be baptized the grandma (she likes to talk a lot) interrupted and just went off on a huge tangent. Oh man! Afterward people came and the spirit was just not right to invite them. But we are excited for the next visit with them. They are really awesome and willing to keep commitments. Hopefully we can get that fecha with them this week. This week we also had the zone training meeting. And man it really was a sweet meeting. The zone right now is super awesome and super animated about the work. We talked about repentance and a missionary gave just the sickest talk about it. I think everyone felt the spirit in the meeting and left ready to work hard. So the zone is really moving in the right direction so we are super excited about that. Well I love you all and hope you all have a wonderfull week! Well this has been a really awesome week here in Zapala with Elder Wagstaff. We have had a good time sharing the gospel with the people here. So I will start with the familia Rodriguez. They are doing awesome. Unfortunately we weren’t able to find them all week except for late Satruday night. We tried multiple times but could never get a hold of them or find them in house. So finally on saturday night we found them just in time to invite them to church. They said that they had been talking about it and were making the plans so they could go. So on Sunday they whole family was there. It was awesome. It was the ward conference so all the classes were really awesome. It was a great experience and the ward did a good job of helping them feel welcome also. The kids were all able to make friends. It was great. So they are doing really awesome. We really excited to find them this week so we can put a baptismal date with them and help them progress toward that. So this week Nestor and Yanet got married! That was a really big step for them. We are super happy but now we have to make sure that Yanet is ready to be baptized. We have a baptismal date for her for this coming week but it still isn’t sure. Yanet isn’t were we would really like her to be in terms of her progression. They didn’t go to church and they haven´t been reading. This week we are going to be pressing hard and hopefully we can help her make that final step (which really is the beginning). So this week the weather has been a little crazy. We had a huge rain strom on friday. The streets were like rivers. It was crazy. I´ll send some pictures. Well sorry I don´t have too much for today. Just know that I love you all and hope you have a wonderfull week! Me in the rain. 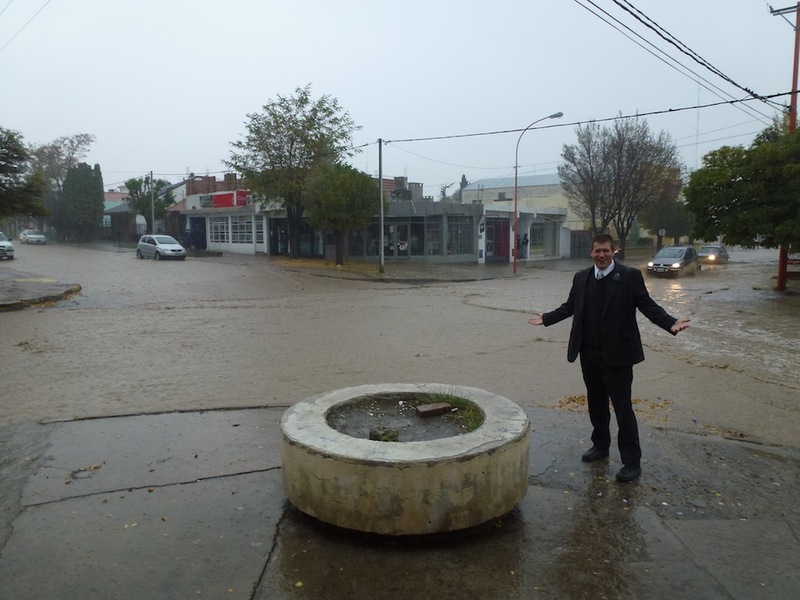 You can also see the river that formed in the middle of centro! Hey everyone. Well this has been a pretty sick week here in Zapala with a lot of cool stuff happening. First I will start off with the familia Rodriguez. Oh my goodness this family is like every missionary´s dream. They are soooo awesome. Family is the mom, Carina, and she has 3 daughters and 1 son, Micaela, Laura, Tiara, and Lucas. They are all so awesome. We had actually contacted them about a month ago but we could never find when the mom was home. So the other night we finally were able to talk to Carina outside and everything was just awesome. She was super interested and said that she had been looking for a church for her kids for sometime now and they only live a half a block from the chuch here. So she told us to come back another day with a member so we could enter and teach them. And man it was just a sweet first lesson. They are so prepared. All the kids were involved and asking questions and all accepted the invitation so be baptized. They are so prepared, especially Micaela. She is 17 and has been investigating churches for a while. After the first lesson she told us she read the chapter and she even read more. She said that is just gave her more ganas to read after reading the first chapter. We invited them to church but unfortunatly Laura got sick and ther weren´t able to go. But we stoped by at night and they said sí o sí they will be going next week. We really are super blessed to find this family. Anyway we also had another sweet miracles this week. One day were were trying to find an old investiagtor and happend to find a less active family. They said they had only lived in the house for a year so they were kind of lost and none of the church members new where they lived. But we found them and talked to them for a while. They have had a lot of problems adjusting to their new home and the new neighborhood. We found out that she also has a son that is 10 years old that is not a member. So this week we started to teach them and hopefully we can help them progress. Also there was the familia Barraza. They are a family have have been members of the church for a long time. Sealed in the temple and everything. The hermano was bishop also but they have been inactive for about 8 years now. 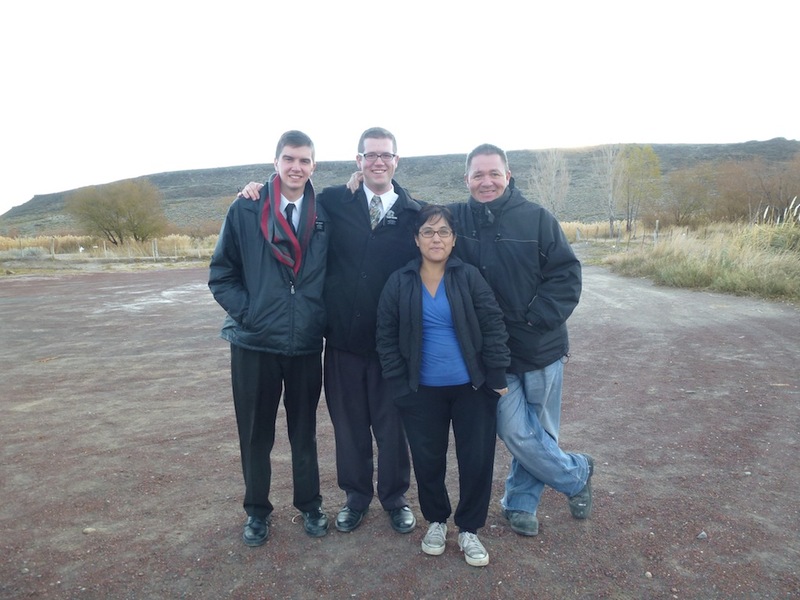 The other week the temple presidend from Buenos Aires came and had a fireside. They went and then the next day they came to church. They have a kid that need to be baptized as well. So hopefully we can help this family as well come back into full activity again. So also some really crazy news. 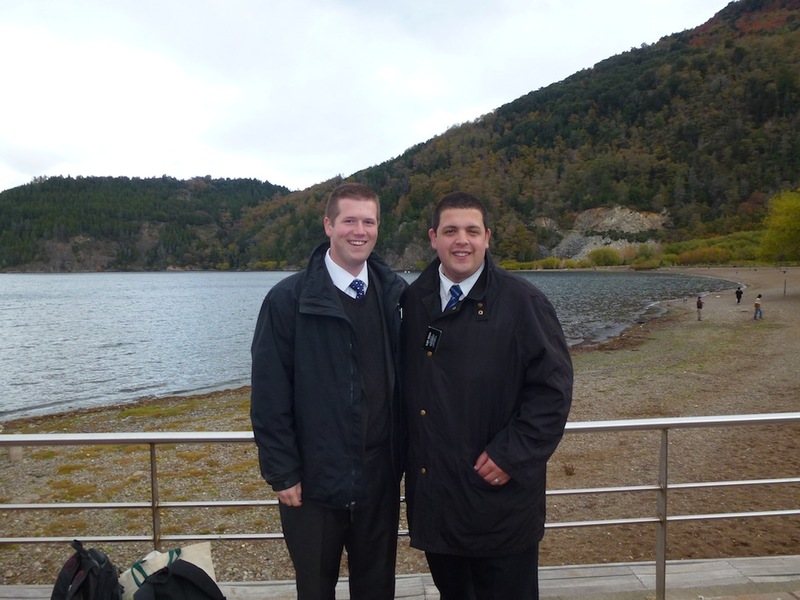 Elder Lunsdskog is being transfered to Neuquen. My new companion is going to be Elder Wagstaff! Man i´m super excited. This transfer sure is going to be a sweet one. Well I love you all and hope you have an amazing week!